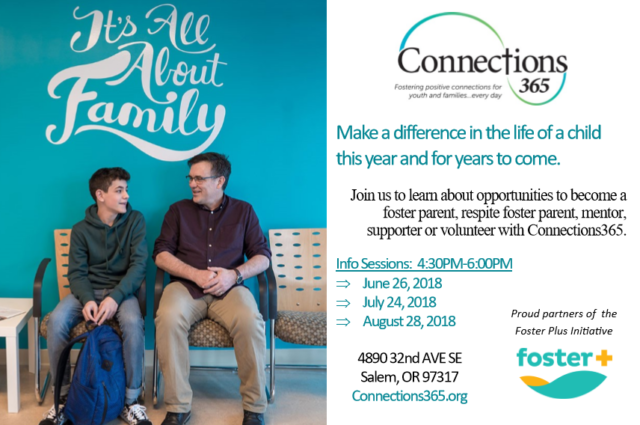 Connections365 is hosting an open house/information session on Tuesday, August 28, 2018 from 4:30pm-6pm at 4890 32nd Ave SE Salem, OR 97317. 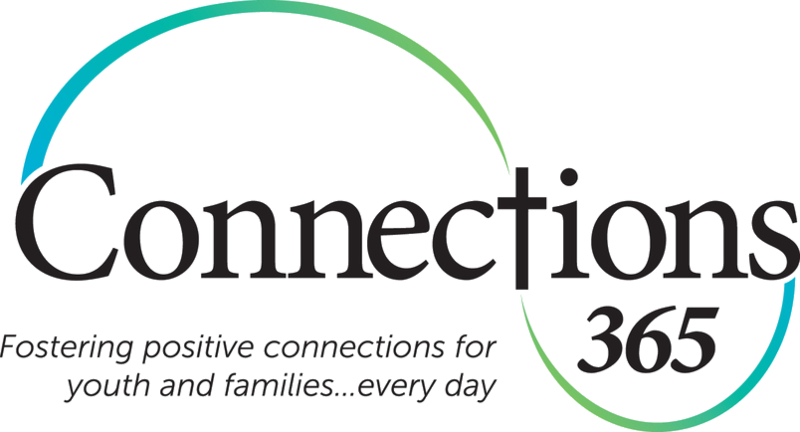 Please join us to learn about our programs and ways to help youth and families in our community. 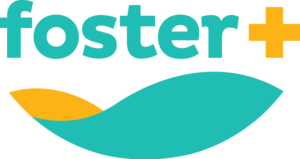 Information provided about DHS Treatment Foster Care, Oregon Youth Authority Foster Care, Respite Foster Care, Mentoring and Volunteer opportunities. Meet our staff and ask questions in a no pressure meet and greet atmosphere. Refreshments provided.